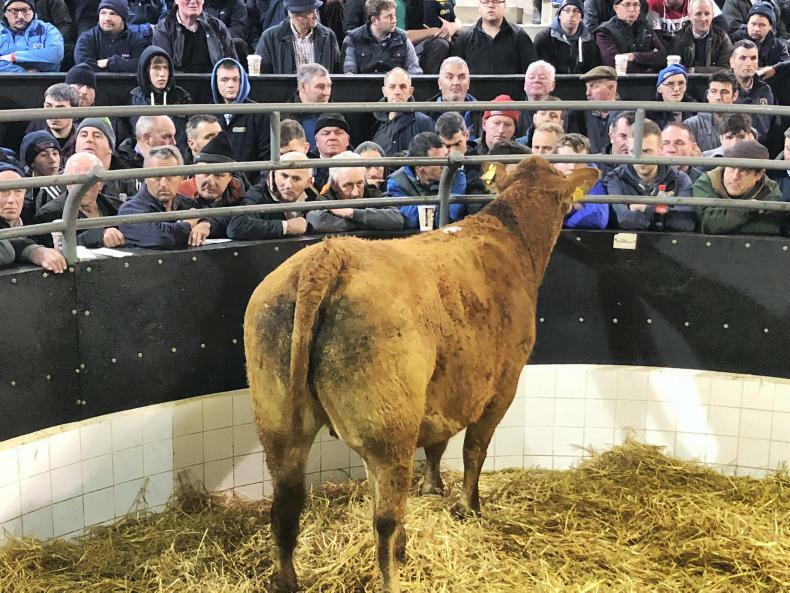 Adam Woods was in Elphin Mart last night for Martin O'Connor's annual in-calf heifer sale. 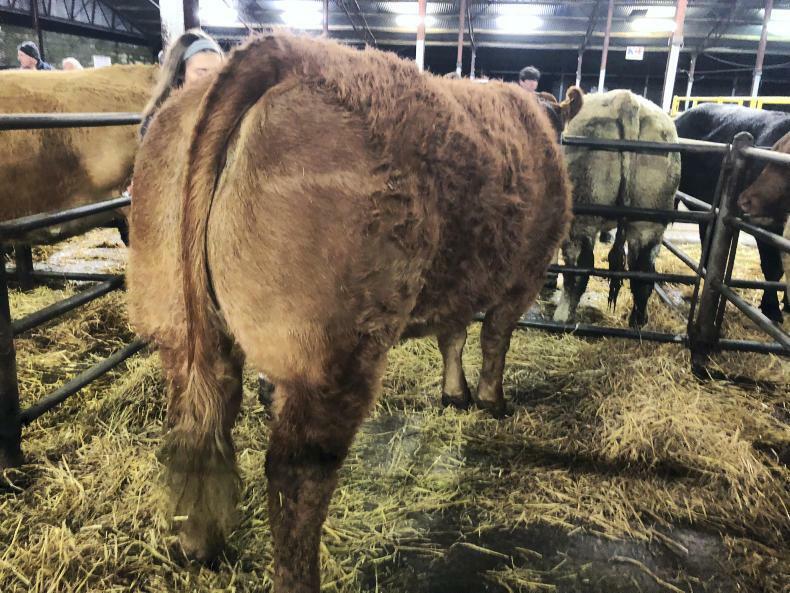 Read his sale report here. 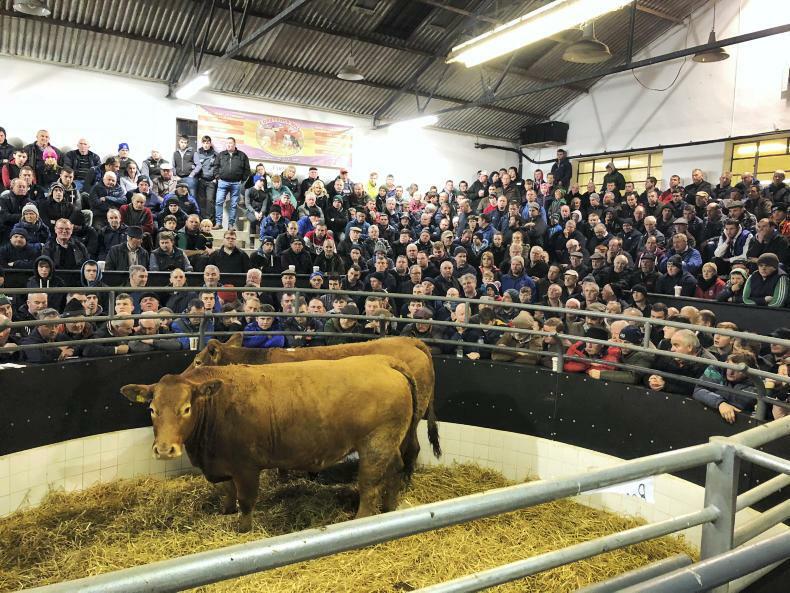 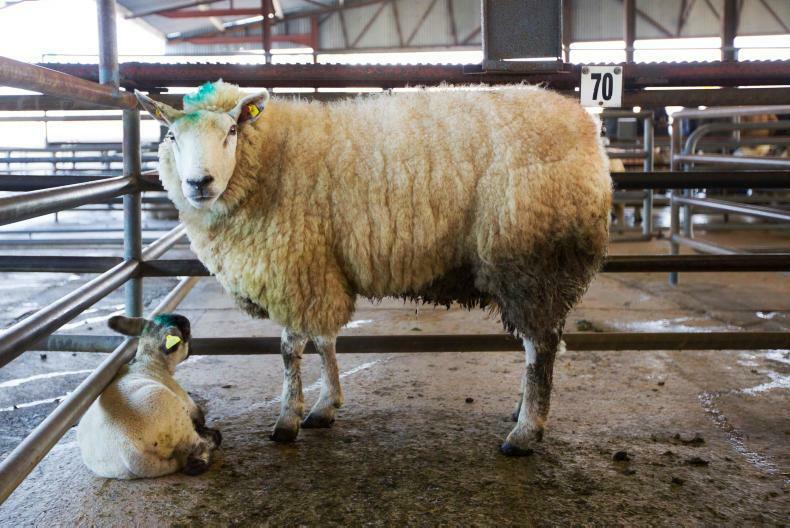 Standing room only at a packed ringside at Elphin Mart last night. 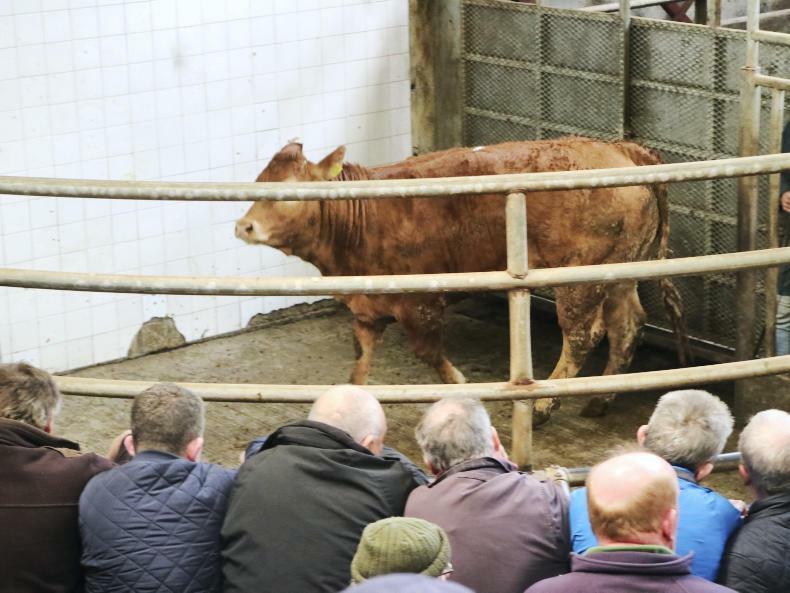 Auctioneer Tom Cox said he had three or four men for every heifer. 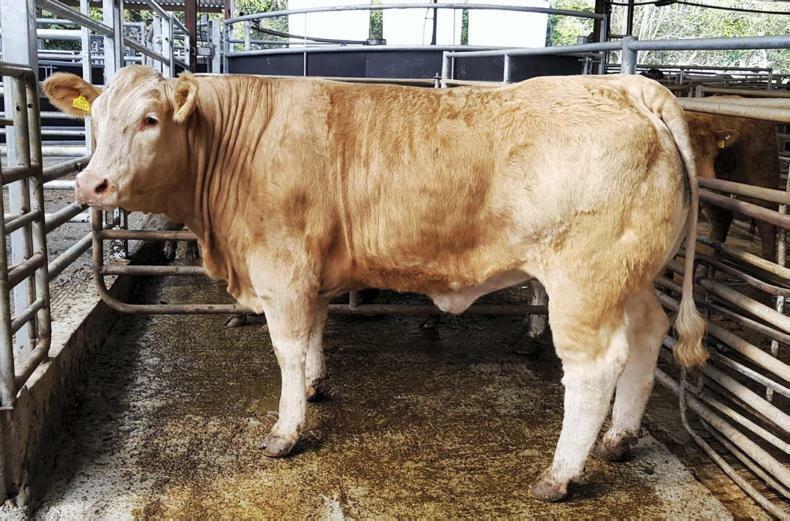 Top call of €4,300 for this heifer in-calf to EBY.